Coyotes have colonized most major cities, including Chicago and New York. While spotting wildlife can be exciting, there are compelling reasons to discourage coyotes from living on your property. Coyotes are naturally afraid of humans, but as they get used to living with humans they grow less and less fearful, and can become aggressive. Pets such as dogs and cats look like tasty treats to coyotes too. You'll live more peacefully with coyotes if you have less contact with them, and if they remain afraid of you. There are some benefits to having coyotes in the suburbs and cities. As natural predators of rodents, they do a bang-up job controlling rat and mouse populations at certain times of the year. Another benefit is having them around as a subject for photos and observation (a bit weak when it comes to defining benefits, I know). In general, coyotes are disdained due to the fact that they become aggressive toward human beings once they’ve acclimatized to human-dense environments. Though they do help to control rodents at certain times of the year, coyotes have also reduced the populations of native species like the Red Fox. They also do considerable damage to the productivity of American goat and sheep ranches. The first line of defense against coyotes is to avoid attracting them. Coyotes can adapt to any environment that provides food, water, shade, and space. 1. Keeping food sources, especially garbage, scarce is your top priority.The California Department of Fish and Wildlife recommends putting garbage into cans that cannot be opened by coyotes or tipped over. The Boulder County municipality advocates removing as many rodents (AKA potential coyote food) as possible from your yard and garden. Denver animal control experts suggest picking up fruit that falls in your yard, as the coyote diet is about 20% fruit. This should go without saying: Never feed coyotes, no matter how cute they look. 2. Pets and pet food are also attractive to coyotes. Clean up spilled pet food outdoors. Pest control experts in Denver recommend that you bring all pets inside at night and refrain from letting cats and dogs roam free during the day. 4. Fencing is another way to keep coyotes off of your property, but it is not quite as effective as removing food sources. Wire mesh at least five feet high is the best fencing to protect against coyotes. Coyotes will burrow under fences, so find a fencing contractor to install a line of barbed wire. Adding rollers at the top of the fence will prevent the coyotes from getting the foothold necessary to clear the fence. 5. Lights are yet another method to repel coyotes. 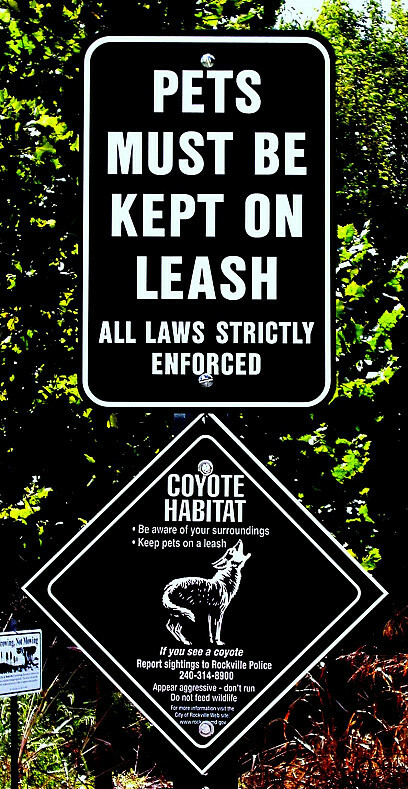 Coyotes don't like loud noises and flashing lights. Installing motion-sensor lights, or like, launching a night club, in your yard will help to discourage coyotes from prowling there. Your neighbors will prefer the motion-sensor lights to the raging bass and colored strobes. You've been warned.